The task for this was admittedly made easier by the proliferation of Pinnace cigarette cards at the time. 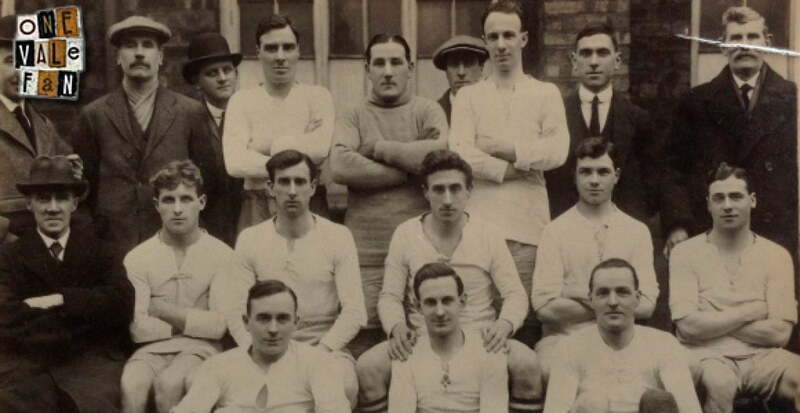 Players were photographed individually on the cards but with their names attached and it is through these that we have identified most of the players from this 1920-21 team group. 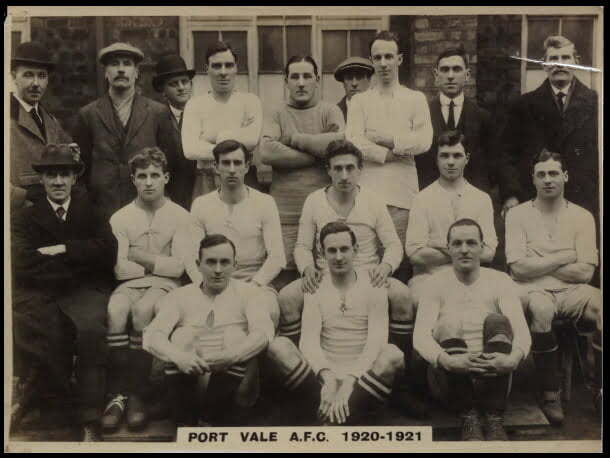 This season, like so many in the history of Port Vale was one of two halves. The side started really brightly and quickly recorded the league double over local rivals Stoke City. 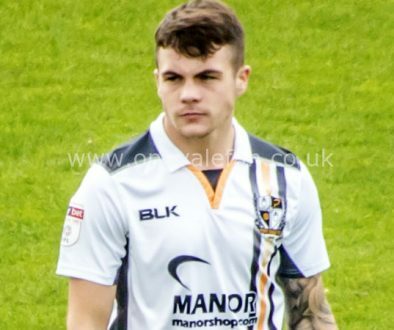 However, the club decided to sell star striker Bob Blood for a club record fee in February (mainly because Vale were once again strapped for cash) and the season petered out as the club finished in seventeenth position in Division Two. One consolation was that it was still three places above their neighbours Stoke City who finished twentieth. TOM LYONS: By then a veteran of 35, defender Tom had previously played for Aston Villa. He played 32 games but was released at the end of the season. 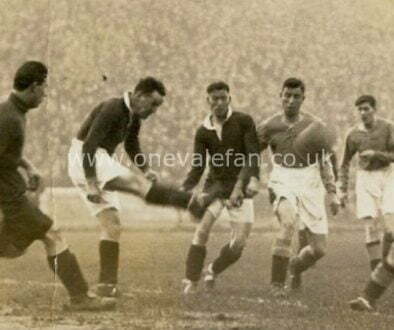 WALTER SMITH: One of three goalkeepers used that season, Smith was signed in October 1920 but not without drama. He was charged with assault and his first game saw a detective watch him from the stands. Smith’s trial took place in November when he was found not guilty and he went on to play 29 times before his stay was ended by injury in December 1921. PETER PURSELL: The younger of the two Pursell brothers who acheived great things with Vale in the 1920’s. The former Scottish International signed from Rangers in 1919 for a £1,500 fee and stayed with the club for five years. UNKNOWN: If you know who this player is, do get in touch. BILLY FITCHFORD: A locally-born player who played as an inside-left. He played 25 times scoring three times. UNKNOWN: It could possibly be long-serving Bob Connelly but we cannot be certain. 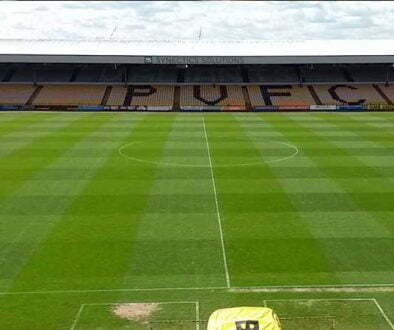 It may be loathed but is the Checkatrade Trophy benefiting Port Vale?